Nowadays, infographics and GIFs make a purely text content thrice as much interesting to read. 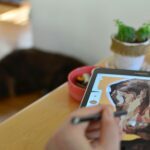 That’s why digital marketers and graphic designers worked hand-in-hand to come up with a new idea as they incorporate both into one – GIFographics! 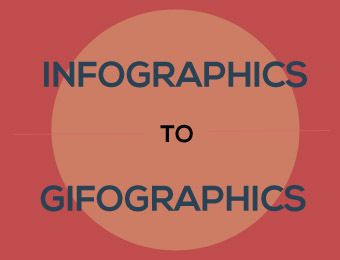 But before you attempt to create your first GIFographic, know more about it. GIFographics emerged in the digital world in 2012. 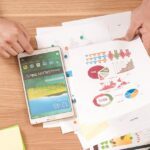 Washington-based entrepreneur, investor, and analytics expert, Neil Patel popularized the term “GIFographics” on one of his blogs a couple of years ago. A Filipino illustrator and animator, Jessica Martinez called it “animated infographic” on her blog entitled, “An animated Infographic” which is a part of her midterm project in her Typography class. Saves both viewer’s and writer’s time from lengthy explanations. Earns extra SEO points when done correctly. Makes statistical information fun to read. Educates and entertains the audience at the same time. Can be used as a marketing tool to grab attention and establish brand impression. Leaves a mark because of its uniqueness. Makes conflicting information easy to understand. Perceived as “difficult” to create. Might affect SEO as there’s no text to be optimized. Animation features take extra time to load. 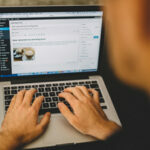 Content can be stolen or plagiarized. Much more expensive than infographics. Make a draft of your infographic. Open the PSD (Photoshop Document) file of your template or infographic. Save and number image files in a separate folder. Load your images onto the stack. File>Scripts>Load + double check the layer panel and animation. Post on your blog or share it on social media platforms. Digital marketing is ever growing and continually improving. As marketers, it is our job to keep up with the latest trends and give our readers fresh and engaging content. Outsource-Philippines houses the most trustworthy professionals to provide you only the best graphic design ideas to help get you started. Are you ready to expand your business to the next level? Call us now!